IHC Specialty Benefits (IHC SB), a member of The IHC Group (IHC) announced that the North American Pet Health Insurance Association (NAPHIA) Board of Directors elected Rick Faucher to Vice President. This executive board position is a key leadership position in identifying and pursuing special initiatives that are important to the future of the organization. Having worked with Rick on past NAPHIA projects, he is ideally suited for this. IHC Specialty Benefits (IHC SB), a member of The IHC Group (IHC) announced that the North American Pet Health Insurance Association (NAPHIA) Board of Directors elected Rick Faucher to Vice President. Mr. Faucher is President of IHC SB’s Pet Health division and oversees the company’s pet health enterprise, which includes their recent acquisition of PetPlace.com. 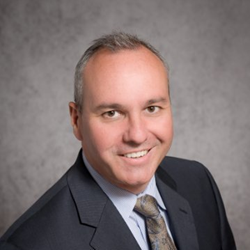 As Vice President, Mr. Faucher will lead several key initiatives for NAPHIA, including co-chairing the membership committee, supporting the ten year anniversary conference, TENacious Forum scheduled for May, and overseeing a committee to review e-claims capabilities with the veterinary community. According to NAPHIA’s State of the Industry report released this past May, the market continues to grow robustly with an annual average growth rate of 12% seen in 2015, compared to the prior year. More than 1.6 million pets are insured in North America. Mr. Faucher joined IHC in 1998 and to date, has led many successful strategic product lines for the organization. He began overseeing IHC SB’s pet health division in 2012, a year after the company entered the pet health market. For more information on NAPHIA membership or pet health insurance, please contact Rick Faucher at 602-395-7083 or Rick.Faucher(at)IHCGroup(dot)com. The North American Pet Health Insurance Association (NAPHIA) is comprised of reputable pet health insurance (PHI) organizations from across Canada and the United States. NAPHIA’s membership makes up over 99% of all pet health insurance coverage in effect in North America.